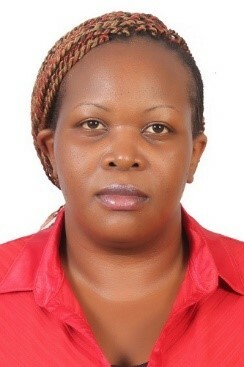 Edith is an assistant professor in organic chemistry at the United States International University-Africa. She is also actively involved in research activities, with her research focus on development of new porphyrin based fluorescent dyes for use in Photodynamic Therapy (PDT) for the treatment of cancer, as well as in Photodynamic Antimicrobial Chemotherapy (PACT) for use in environmental microbial decontamination. Edith has over 7 years’ teaching and research experience, in which she has taught both undergraduate and graduate level courses, and supervised undergraduate, Masters’ and PhD student research work. 1. PhD in Organic Chemistry – Louisiana State University, Baton Rouge, Louisiana, USA. 2. Bachelor of Science in Chemistry (First Class Honors) – University of Nairobi, Nairobi, Kenya. iii. Managa M., Britton J., Amuhaya E., Nyokong T. (2017)“Photophysical properties of GaCl 5,10,15,20-tetra(1-pyrenyl) porphyrinato incorporated into Pluronic F127 micelle” Journal of Luminescence, 185, 34 – 41.
iv. Kubheka G, Uddin I., Amuhaya E., Mack J., Nyokong T. (2016) ‘’ Synthesis and photophysicochemical properties of BODIPY dye functionalized gold nanorods for use in antimicrobial photodynamic therapy’’ J. Porphyrin and Phthalocyanines, 20, 1016 -1024.
v. Sekhosana K.E. ; Amuhaya E.; Nyokong T. (2016) ‘‘Nonlinear optical behavior of neodymium mono- and bi-nuclear phthalocyanines linked to zinc oxide nanoparticles and incorporated into poly acrylic acid’’ Polyhedron, 105, 159 -169. (5,10,15,20-tetrakis(4-(4-carboxyphenycarbonoimidoyl)phenyl) porphyrinato) chloro gallium(III)”Spectrochimica Acta Part A: Molecular and Biomolecular Spectroscopy, 151, 867-874.
vii. Ogbodu R.O., Amuhaya E., Mashazi P. Nyokong T. (2015) “Photophysical Properties of Zinc Phthalocyanine-Uridine Single Walled Carbon Nanotube – conjugates" Spectrochimica Acta Part A: Molecular and Biomolecular Spectroscopy, 149, 231-239.
viii. Fashina A.; Amuhaya E.; Nyokong T. (2015)“Photophysical studies of newly derivatized mono substituted phthalocyanines grafted onto silica nanoparticles via click chemistry” Spectrochimica Acta Part A: Molecular and Biomolecular Spectroscopy, 140, 256–264. ix. Fashina A.; Amuhaya E.; Nyokong T. (2015) “A comparative photophysicochemical study of phthalocyanines encapsulated in core–shell silica nanoparticles” Spectrochimica Acta Part A Molecular and Biomolecular Spectroscopy, 137, 294–299. xi. Sekhosana K.E. ; Amuhaya E.; Nyokong T. (2014) “Nanosecond nonlinear optical limiting properties of new trinuclear lanthanide phthalocyanines in solution and as thin films” Polyhedron, , 85, 347-354.
xii. Sekhosana K.E. ; Amuhaya E.;Mack J.; Nyokong T. (2014) “Optical nonlinearities and photophysicochemical behaviour of green and blue forms of lutetium bisphthalocyanines” J. Mater. Chem. C, 2, 5431- 5437.
xiii. Sanusi K.; Amuhaya E.K. ; Nyokong T. (2014) Enhanced Optical Limiting Behavior of an Indium Phthalocyanine-Single-Walled Carbon Nanotube Composite: An Investigation of the Effects of Solvents”, J. Phys. Chem C., 118, 7057 – 7069.
xiv. Fabre B.; Hao E.; LeJeune Z.M; Amuhaya E.K. ; Barri?re F.; Garno J.C.;, M.G.H. Vicente (2010)“Polythiophene Containing In-Chain Cobaltabisdicarbollide Centers,” Appl. Mater. Interfaces, 3, 691-702.